I'm a sucker for cute packaging. 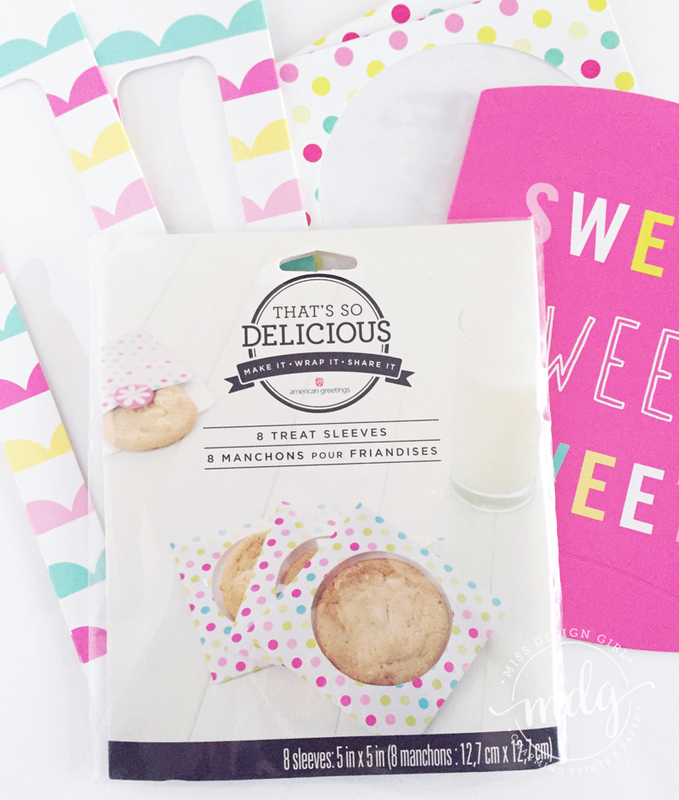 You can check out lasts year post about packaging here. This year I found a few items at Fred Meyer, they are not necessarily "valentine" themed but I thought the colors were perfect! 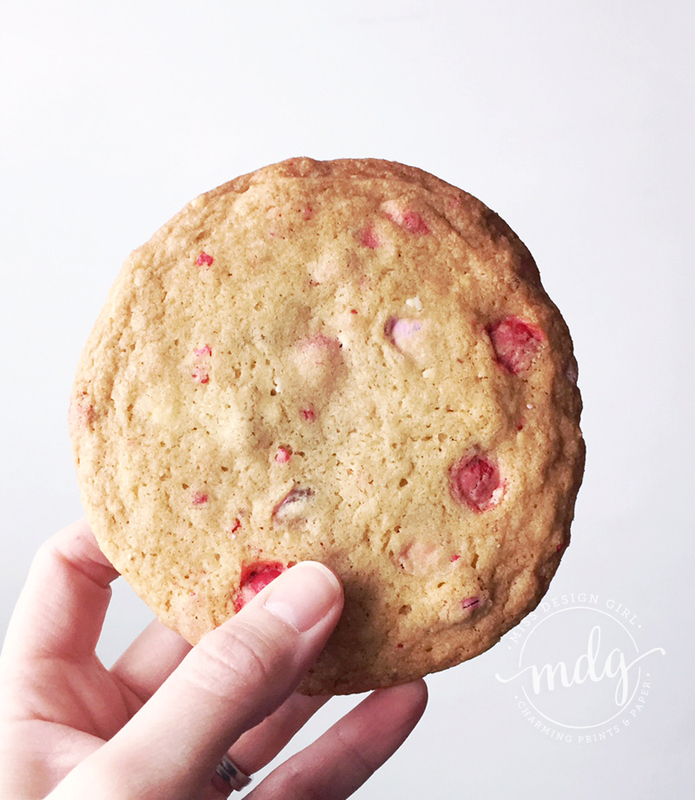 I made a few easy treats including chocolate covered pretzels (my go to simple treat) and valentine M&M cookies. For the pretzels I have a tutorial posted HERE and for the cookies I just followed the Nestle Toll House recipe except I made them extra BIG. The packaging I found at Fred Meyer - it's from American Greetings. The tags are from my shop Miss Design Girl- only $1.99 for a printable sheet. The ribbon is from Michaels. 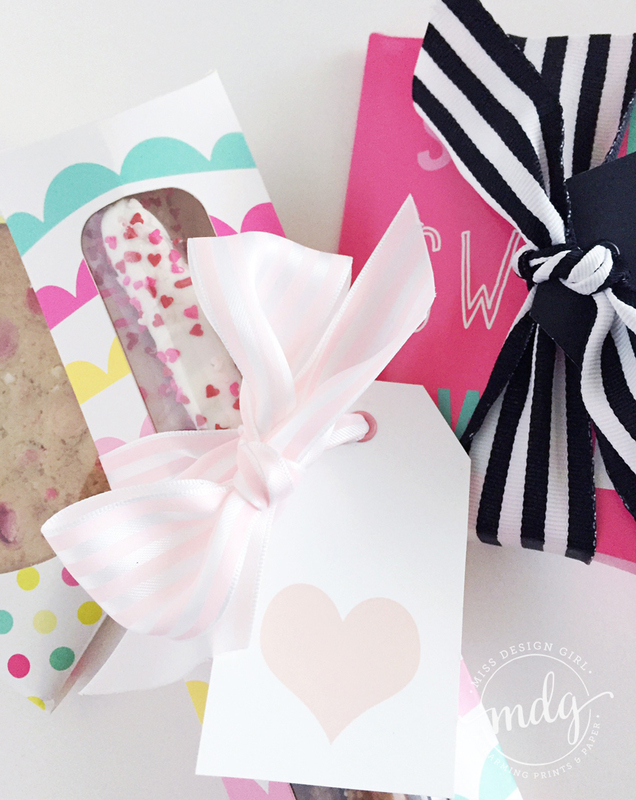 How cute are these treats all wrapped up?! 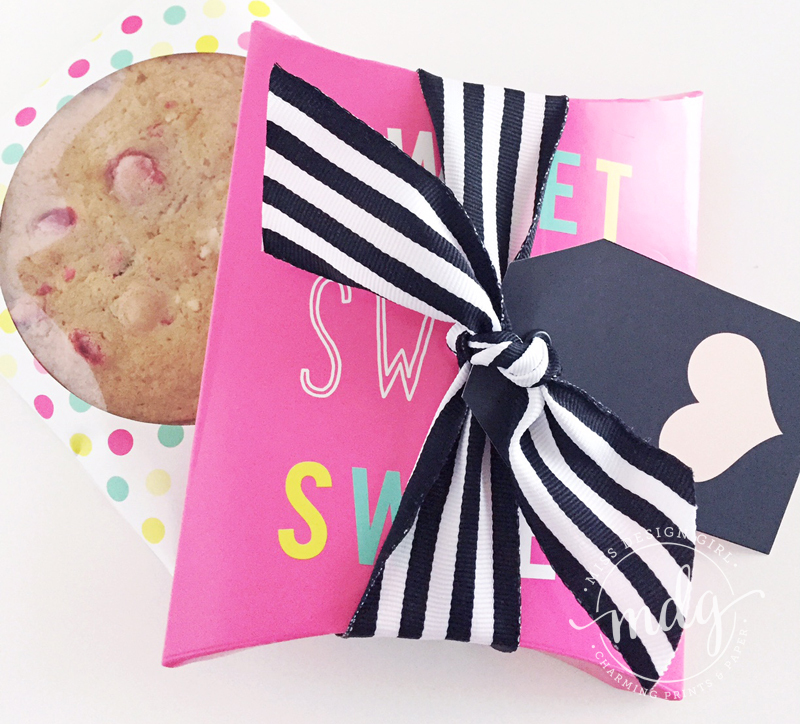 The pretzel boxes and cookie sleeves... heart eyes! 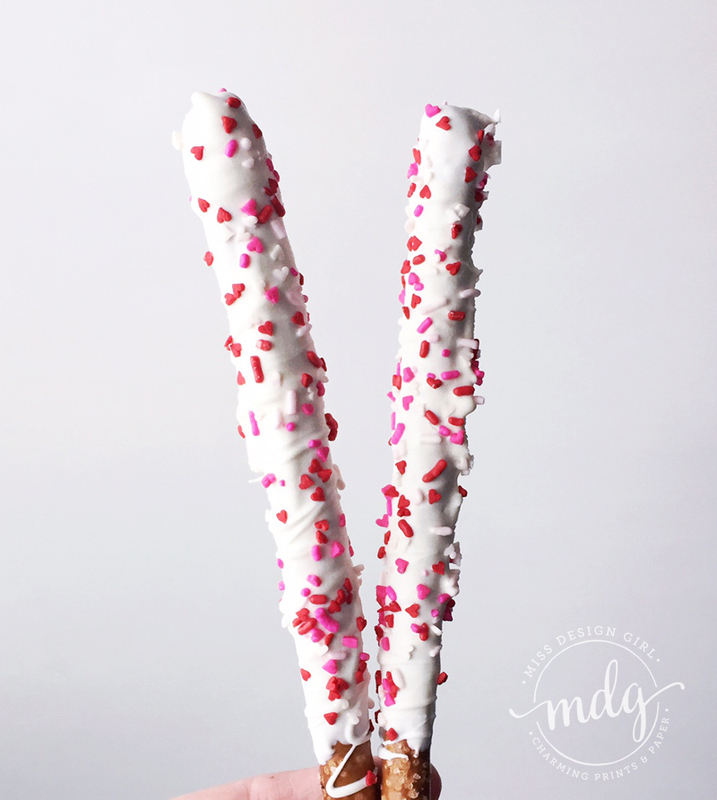 These would be perfect for teachers or for Valentine's Day parties.